MEXICO CITY, Apr 24 2013 (IPS) - Trade unions in Canada, the United States and Mexico are preparing protests and legal action against the Mexican subsidiary of Walmart, the world’s largest retailer, which is accused of paying bribes and breaching labour rights. Unions in the three North American countries want the company to be penalised by the Mexican authorities, and are calling for a ban on opening more stores on artistic or natural heritage sites. “What is needed is action in Mexico. We are somewhat out of step with the investigations in the United States,” said Héctor de la Cueva, the coordinator of the Centro de Investigación Laboral y Asesoría Sindical (CILAS), a Mexican trade union research centre. “That’s why we’re going to explore avenues to initiate legal action against the company and then evaluate using international courts,” he told IPS. The Walmart scandal erupted on Apr. 21, 2012 when the New York Times reported that the firm had paid 24 million dollars in bribes to Mexican officials between 2002 and 2005 to expedite the opening of new stores, a possible violation of the U.S. Foreign Corrupt Practices Act. LABOUR-MEXICO: "They First Asked if I Was Pregnant"
U.S.: Supreme Court Walmart Decision Is a "Blow to Justice"
In the United States, Walmart has been under investigation since December 2011 by the Justice Department and the Securities and Exchange Commission in a process that has already cost the company millions of dollars and will cost it considerably more yet. Walmart is now Mexico’s largest private employer, with over 240,000 workers, who are not allowed to form trade unions or demand labour rights on pain of dismissal. Nearly 20 percent of the over 10,000 Walmart stores worldwide are located in Mexico. “We are deeply concerned about this scandal and aware that Walmart has not even applied its own code of ethics,” said Eduardo Pérez de San Román, the regional director for the Americas of UNI Global Union, based in the Swiss city of Nyon. “We are experiencing great difficulties in promoting union freedoms and collective bargaining in the company,” the leader of the federation of trade unions representing some 20 million workers in 1,000 organisations in 150 countries, in the retail trade, finances, telecommunications and postal services, told IPS. UNI Global Union is carrying out a campaign to denounce Walmart’s practices, and has formed a global network against the company. It has already presented a complaint with Walmart’s Global Ethics Office for breaches of its own code. The Mexican investigation into the alleged payoffs has made slow progress and there are few results, even though over a year has passed since the scandal first broke. The now defunct ministry of public administration announced on Nov. 21 that the early investigations found no irregularities requiring any penalties against senior Walmart executives in Mexico. 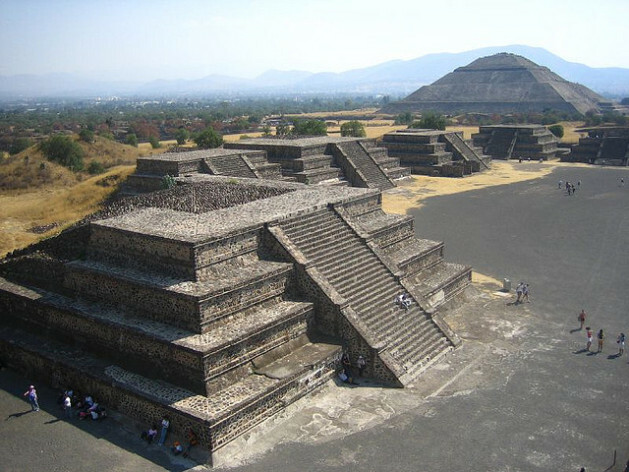 In 2003 and 2004, Gálvez took part in the failed struggle against the opening of a Walmart superstore on a plot next to the archaeological zone of Teotihuacán, one of the country’s emblematic pre-Columbian sites some 50 kilometres northeast of Mexico City, in Mexico state. The store is one of those where bribes are alleged to have been paid to allow it to operate. At the time the governor of Mexico state was Enrique Peña Nieto, who became president of Mexico on Dec. 1. Things turned out very differently in the small indigenous town of Cuetzalan in the southern state of Puebla, where protests managed to block construction of a Walmart branch in 2012, on the argument that it was a threat to local employment, organic agriculture, and local customs. Encouraged by this precedent, activists are waging a similar battle in the cities of Xalapa and Orizaba, both in the southeastern state of Veracruz, where Walmart wants to build two stores. In Xalapa, the store would threaten a forested area rich in flora and fauna, and in Orizaba it would endanger a retirement home built in the 1930s that is listed as of special artistic interest. In both cases, civil society organisations have asked the municipal authorities to deny permission for building and operating the stores. “The expansion of Walmart has been at the expense of the most basic workers’ rights. Workers have been prevented from organising freely, and the Mexican authorities have permitted this to happen. If the labour ministry wants to act, it has every means at its disposal to do so,” said CILAS’s De la Cueva. In Gálvez’s view, the Walmart store in Teotihuacán must be closed down. “It is one more reason in our argument that this store should not be in the archaeological zone. It must be removed, because it is an offence against Mexico,” he said. Walmart represents a society in decline.